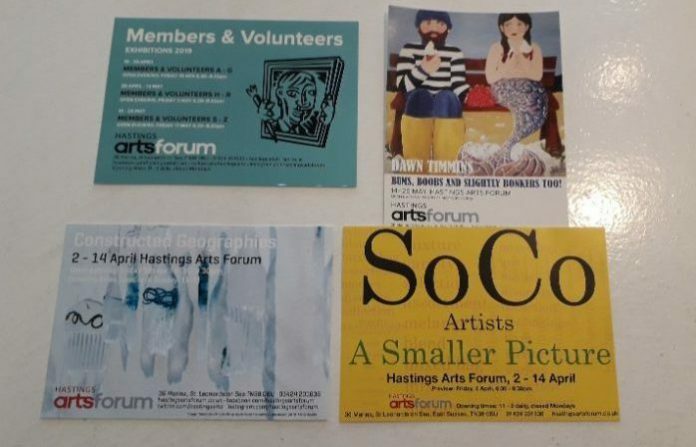 Hastings Arts Forum is a gallery providing exhibition space for its 400 members – both artists in various mediums and supporters – to show their art to the local community and visitors to Hastings. The gallery can be found at 36 Marina, St Leonards on Sea. 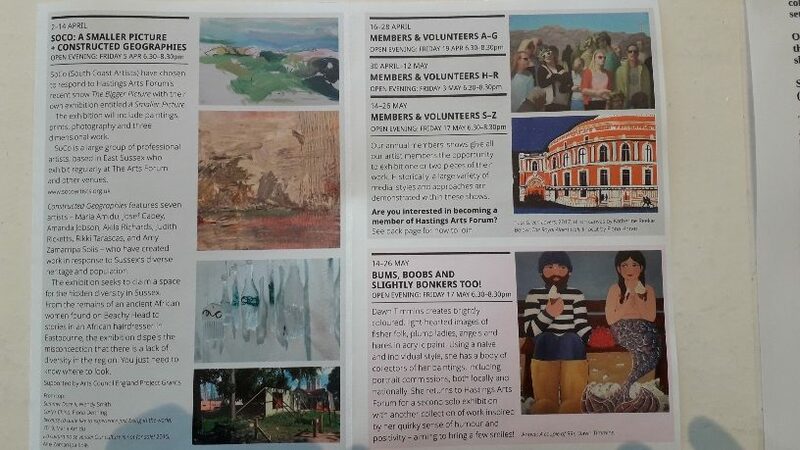 It is a registered charity and members’ organisation to support the local and regional arts. There are some interesting exhibitions in the pipeline. The two interconnecting galleries can be hired either together or separately. The gallery space is light, spacious and has a great selection of cards and jewellery. It is a pleasure to volunteer at the forum while able to enjoy the sea view opposite. Exhibitions run for a minimum of two weeks but longer periods can be negotiated. It is open six days a week, 11am to 5pm from Tuesday to Sunday. It is closed on Mondays. Image Credits: Heidi Foster, Pictures are by exhibition artists.